There are plenty of reasons implementations get delayed, fall short of expectations, or outright fail. One key reason among them is timing. If you aren’t already managing your implementation timeline before kicking off your sourcing initiative, you have some big potential headaches waiting for you in the near future. The pain starts during the RFP. Suppliers may see short timelines compared to what their experience shows them is reasonable and bow out. Your goal is to cultivate a list of best-in-class suppliers; losing them now closes the door on great potential partnerships. The pain continues once a deal is inked. An overly aggressive implementation timeline can cause delays with real operational implications. Removing elements of an implementation and stripping down to bare bones may help but, while potentially effective, will leave you without functionality you originally bargained for. Let an implementation languish too long, and it may never get off the ground at all. What can we do to ensure this doesn’t happen? The answer is to fully map your timeline. Of all the dates you know, your implementation date is the most critical and easiest to determine. Therefore, let’s consider this process moving backwards, from finish to start. 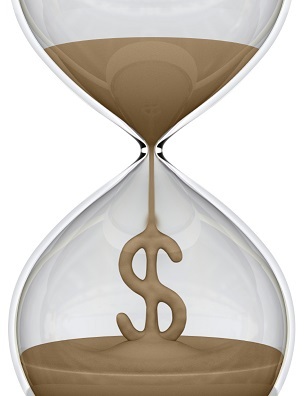 What is your ultimate deadline for implementation? If you’re seeking to replace an incumbent that is no longer viable, you’ll need your sourcing initiative to wrap up before you run out of time and are forced into a contract renewal. If you’re seeking a product or service to fulfill a new need, this will be the latest date the new service can go live without disrupting business. Internally, reach out to all front line stakeholders. In the case of a new accounting software rollout, for example, understand how your IT team and Accounting team will participate in the launch. Beyond the time they need to allot for the implementation itself, get a feel for any issues the teams can identify that might crop up during an implementation, and also any other high priority projects that could get in the way – both could extend the implementation timeline. Externally, reach out to your supplier base. The suppliers you’ll reach out to through your RFP live and breathe such implementations every day. Prior to launching an RFP, it is a good idea to start with a Request for Information to get a better understanding of typical timelines the suppliers see as feasible for similar projects and the kind of resources needed on your side of the table to accomplish them. The next steps working backwards are contracting and negotiations. Feeling out how long these processes will take can be difficult; depending on a number of variables, you could wrap up in weeks, or slog through for several months. The key is to leverage your understanding of these variables to make an estimation. With largely tactical procurement initiatives, this phase should be relatively short. The focus here is on products with a large supplier base and little risk involved in switching suppliers. As initiatives move towards strategic purchases, these phases can become drawn out. The supplier base may be much smaller, elements of the product are more complicated, and the relationship with the supplier will be much more in-depth and critical to operations. The contract, itself, can range from a handful of pages to a one hundred or more page document. Again, there are internal and external resources who can help you figure out the timing. Internally, now is the time to get some feedback from and about your legal department. How quickly do they typically move through this phase? Externally, ask for standard terms and conditions up front, and get a feel from suppliers around how willing they will be to modify them. The nature of the product – a physical good compared to a service – is also a variable. In the case of office supplies or other physical goods, suppliers may readily negotiate on price and end the process quickly. Service-oriented suppliers are less likely to compare themselves and their offerings in an apples-to-apples comparison with their competitors, and therefore offer more of a challenge. How detailed is the Scope of Work, and how much time is reasonable for a supplier to work through and understand your requirements? Although your Scope of Work should always aim to be complete, suppliers will have additional scoping questions to gain a better understanding of your needs. How open and available is your team to responding to such questions? How quickly can you turn around answers? Consider the deliverables you are asking suppliers to provide. Are you asking for a response to a questionnaire with 10 questions or 100? Will there be an on-site pitch at the end and, if so, how extensive of a presentation are you expecting suppliers to prepare? The key to successfully managing this timeline is to be firm-yet-forgiving. Constantly drive your calendar. Each time you communicate with suppliers, reference the next milestone, its deadline, and the deliverables owed to you. Stay in contact, and confirm that the suppliers are on target. However, also remember that Murphy’s law is in effect – any number of issues may crop up, either on your side of the suppliers’ sides, during your RFP that force deadlines to be extended. Therefore, it is a good idea to build wiggle room into this calendar. For example, provide a stated deadline of Monday to deliver final questions for review and drive towards it, but keep an internal schedule that allows for suppliers to get questions to you by Wednesday without causing a disruption or jeopardizing your overall timeline. I brought up this point early on, and it bears repeating. One unfortunately common tactic incumbents use is to intentionally cause delays in an attempt to “run out the clock” to undercut your process, forcing you into resigning without fully exploring other options or negotiations. This tactics will be more successful, and therefore more dangerous, for any supplier who provides business-critical products, or who is entrenched and therefore more difficult to change out. You could see this at any point in your process, from the RFP through to negotiations and contracting. Call this tactic out for what it is, and move to address it immediately. Keeping tight control of your timeline, staying in communication with the incumbent on their progress, and escalating issues up the ladder when delays crop up are your best defenses. Make no mistake, there’s a good amount of leg work to do here. The risks of not doing so, however, can be severe. Take the time to measure twice now – gather information internally, seek advice externally, and put together a timeline that makes sense. Once you’ve gone through this process, you’ll have a much better understanding of your timeline, not only in terms of how long your RFP process should take, but how long you’ll spend in negotiations and contracting and then, finally, implementation.